You know the drill. You're traveling with the kids, and all you need to make the day go smoothly is the right eatery and the right outdoor space to let them run around. When you find the playground, it feels like you've just struck gold. If coffee is nearby, nirvana. MomMaps is the iPhone app that gets you there. With over 13,000 kid-friendly locations in the U.S. and beyond, it will take you to parks, playgrounds, restaurants, museums and indoor playareas to keep everyone smiling (for real!). The content is generated by parents for parents, so it's like having mom-word-of-mouth in one convenient little app. 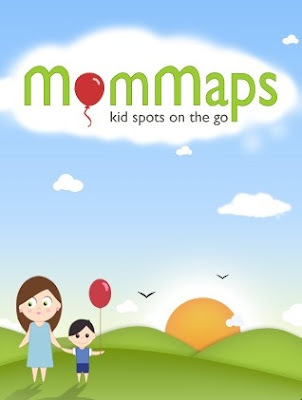 But what really excites me about MomMaps are the creators, Jill and Alesha, who helped kick off Moms With Apps. They seem to be dominating the social media marketing frenzy. By using Facebook and Twitter for outreach and feedback, and a website that features MomMappers, they have already been noticed on Mashable and Apple. I don't know about you, but I'm taking notes, literally. To find out what they are up to, check out the @mommaps on Twitter. But before you do, maybe you should grab your notebook too. It's more than just kid-friendly spots, it's Mom Biz 101.